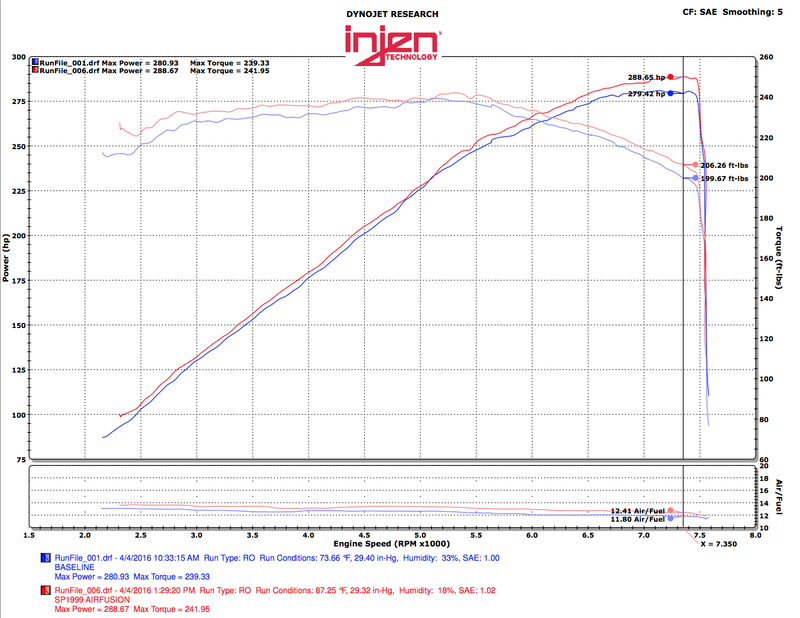 Listen to that nice tuned sound of boost as you get on the throttle with Injen's new (IS1950) intake. Give your engine bay that race inspired look with a short ram intake that will make your boring engine bay look a lot better. You wont have to change your air filter again, with Injen's SuperNano-Web Dry air filter, you can easily clean it and re-use it in a matter of minutes. The Injen intake system for the 2016 Infiniti Q50 replaces your factory air box, piping, and air filter, and the higher air flow filter and piping has been engineered to increase air flow into your engine to produce maximum performance. The CNC mandrel bent piping allows for a smoother air flow, and it is mounted with special rubber to absorb engine vibration and torque. 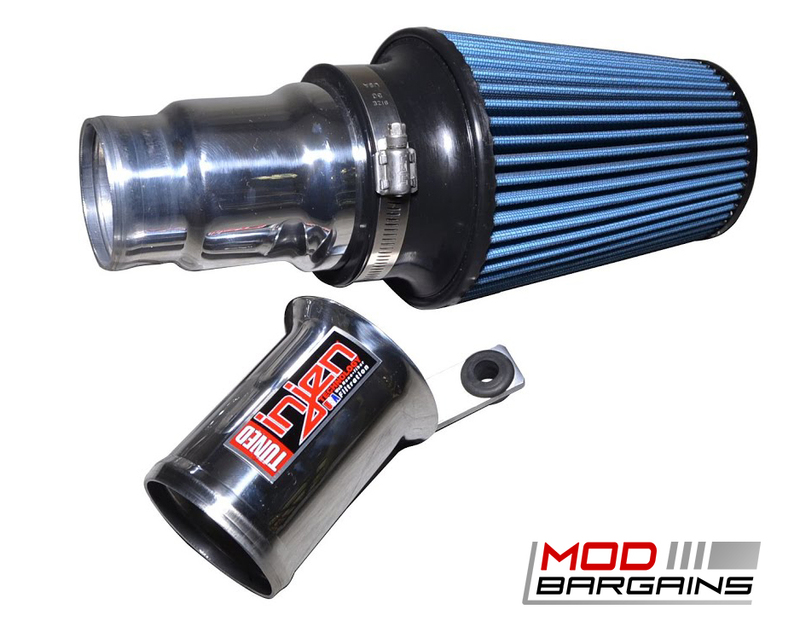 This intake system is equipped with the Injen's SuperNano-Web Dry washable and reusable air filter for long life and multiple cleaning cycles. 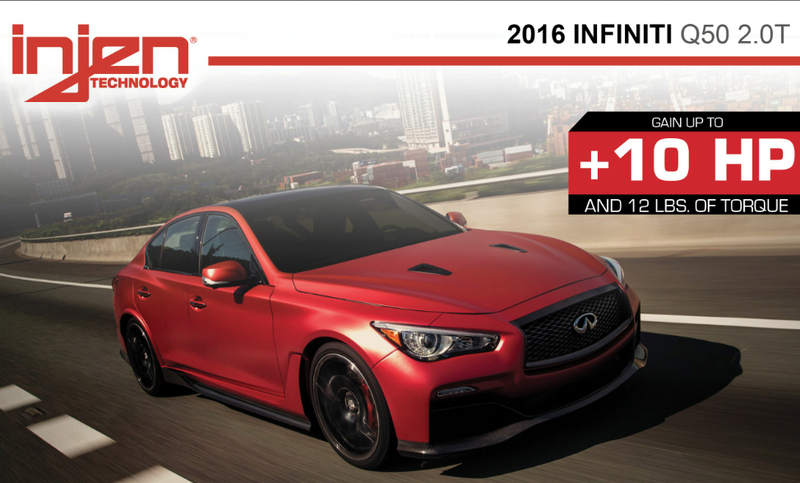 This is easy to install and gives your 2016 Infinti Q50 an additional 10 horsepower and 12 lbs. of torque.